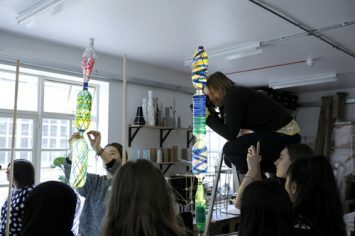 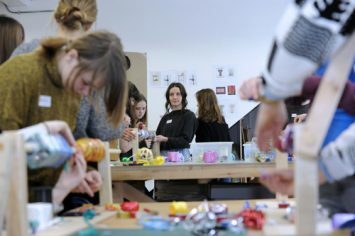 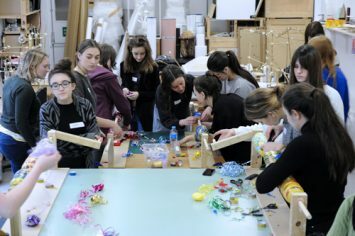 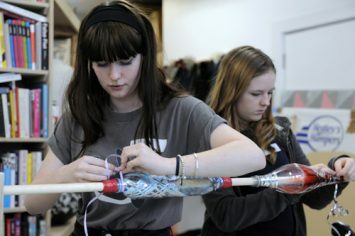 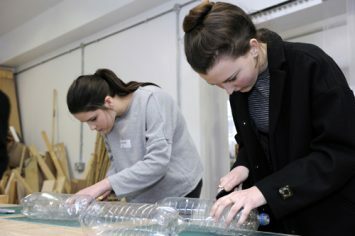 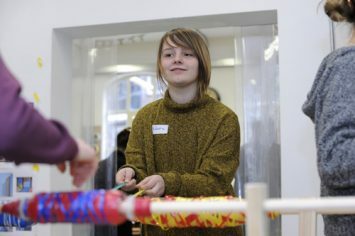 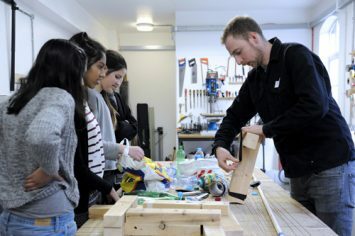 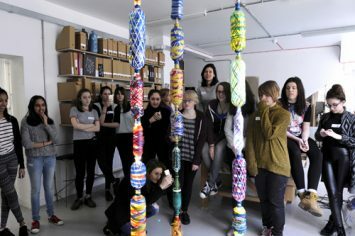 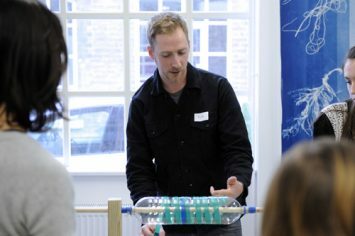 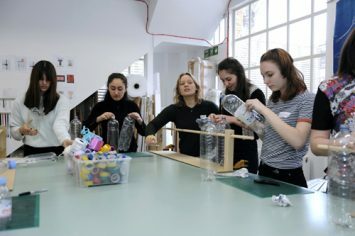 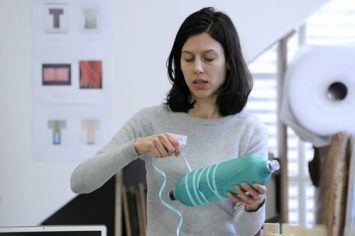 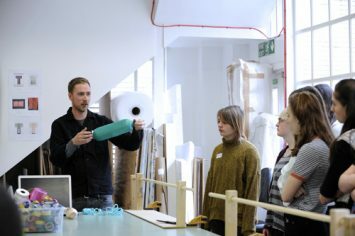 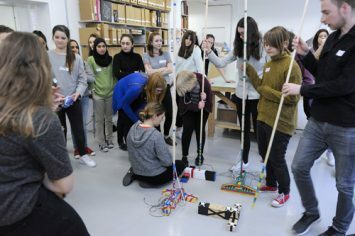 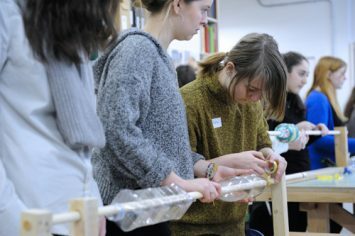 The Art&Design Club members at Kingston University were given a totem-making Masterclass at the bright and airy London design studio of Glithero, founded by Sarah Van Gameren and Tim Simpson. 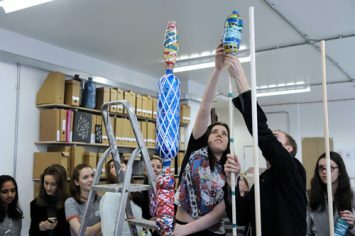 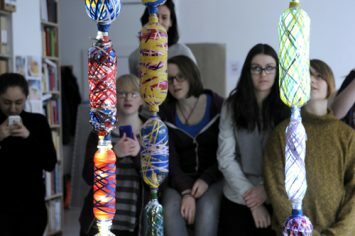 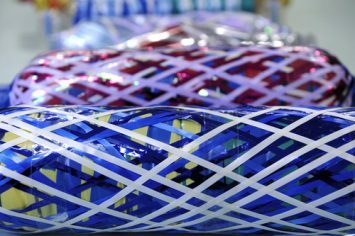 Members used objects such as wood, coloured tape and bottles to create their own unique totems, which were finished off by artistically illuminating them with LED lights. 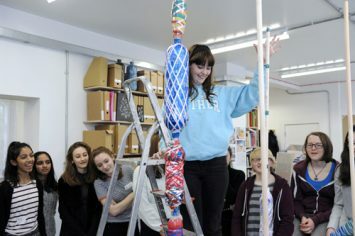 Members then worked together in what was a ceremonial-like process of assembling the totems, during which they consulted one another regarding which piece should go next which they found enjoyable and fun. 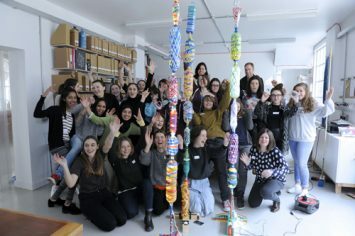 The results were stunning and there was applause, lots of photo taking and a huge sense of achievement for what was a very successful Masterclass.